Debt Recovery : Debt Collection : Property Lein White Plains : U.S. Asset Recovery Services, Inc. In most cases, our persistence pays off by getting the debtor to the negotiating table. Although we will do everything possible to get you paid in full, we are experienced enough to know that often times negotiation is required as a condition of getting paid. Understanding this reality, we make an honest assessment of your case based on all the information we have gathered during the investigation. Our goal is always to get you the most money possible under the circumstances. If our investigation shows that the debt-holder is really unable to pay, we will negotiate terms for a payment schedule and/or reduced payment. In all cases, however, the final decision is yours not ours. Keep in mind, the older a case is, the harder it is to collect. With the passage of time, any number of unfortunate events can occur which affect the claim. These can include, but are not limited to, lawsuits, bankruptcies, deaths, and a whole host of other items that can place recovery of your debt in jeopardy. Our fees are reasonable and on a contingency basis, typically between 15% and 33 1/3% of the amount collected, depending on the size and age of the debt. 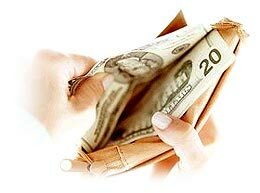 In cases where litigation is pursued, the only additional direct cost to you will be court costs and expenses. Our goal is to get you 100% of what you're owed. Sometimes that's not going to happen. In those cases, be assured we're going to get you everything there is to be had.